CHISINAU, Moldova -- Pro-EU leaders from Moldova, Ukraine and Georgia said Friday that the continued presence of Russian military in their countries was destabilizing. The parliamentary speakers from the three countries issued a joint statement at the end of a one-day security conference in Moldova’s capital, Chisinau, voicing their worries about the Russian military presence in the three ex-Soviet republics. They said they were “profoundly concerned about Russian troops” in Moldova, “and Russian occupation and other forms of military intervention” in parts of Georgia and Ukraine. In the statement, they also expressed displeasure at what they claim is Russia’s “coordinated foreign support for separatist movements,” and social media “operations” to discredit pro-European governments. “After 26 years Moldova still has an occupied territory,” the country’s speaker, Andrian Candu said. 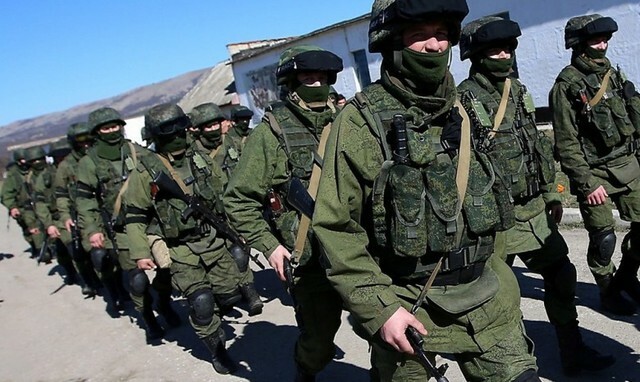 Russia has 1,000 troops and 500 peacekeepers stationed in the pro-Russian breakaway republic of Trans-Dniester, a sliver of land in in eastern Moldova. Russian officials say they need to stay there to protect peace and to protect huge Soviet-era ammunition depots located in the area. Russia and Georgia fought a brief war in 2008, which led to two breakaway Georgian regions, South Ossetia and Abkhazia, declaring independence. Russia has since been supporting the regions financially and militarily. Ukraine has been in a simmering conflict with Russia-backed separatists in eastern Ukraine that has killed more than 11,000 since April 2014. Moldova, Ukraine and Georgia all signed association agreements with the European Union in 2014, in the face of criticism from Russia. The agreements facilitate trade and political cooperation and allow nationals visa-free travel to the bloc.